This return trip (Quetta to Lahore) was one of my most memorable, most scariest rides. Although I had a free airline ticket for return to Lahore (with a stay at Karachi on the way to Lahore), the problem was that it was the second day of Eid-ul-Azha (after Hajj) and the PIA Hajj Operation had just started (to bring back the Hajis from Saudi Arabia to Pakistan). The result: routine flights were disturbed because of the Hajj flights (it was the first day of return flights) and I couldn't get a seat on the "replacement" flight of Fokker F27 aircraft (capacity 40) instead of a Boeing 737-300 (capacity 100+). There was no guarantee that I would get a seat the next day, and I wanted to get to Islamabad as quick as possible, so I rushed to the Railway Station but I reached there at about 2:45pm only to find out that the train has just left some fifteen minutes ago. The taxi driver suggested that I hire another taxi driver (towards whom he pointed with a finger) who'll take me to the next Railway Station before the train reaches there and there I can catch the same train, though there was no guarantee that I'll catch the train at the first station from Quetta. My ordeal was finally over (or so I thought)... but the driver reminded me that there's no guarantee that I'll find a seat on the train... GREAT!! No seat till the morning!! The new ticket-checker who had just boarded at Sukkur/Rohri (Rohri is probably the biggest junction of Pakistan, trains arriving/departing from Punjab to Sindh or Balochistan or NWFP all have a stop at Rohri) told me that I'll be able to get a seat at Bahawalpur, at about 5 in the morning... I slept on a single seat till I don't know when... and I finally got the berth at Bahawalpur at nearly 6am the next day... and slept till noon. The train reached Lahore at about 2:30pm (taking 24 hours for the 1300+km journey from Quetta to Lahore). Quetta was haven on the earth , but now ethnic, religious, environmental, linguistic pollution has made Quetta A hell on the earth, But I still love my Quetta because of my great memories. God Bless you all, and God Bless MY QUETTA. my countr pakistan like (JANAT).Its beautifull. Dear Asmat Yasinzai, I did take a few pictures of the Hana Lake but it required some processing because the quality was low (evening low-light pictures), I just never got around to upload those pics but I will Insha Allah do that when I get a chance. This is really good pictures of Quetta ........love u my Quetta. Nice pics and nice comments..I was born in Quetta and lived there at the age of 20. But now live in New Zealand its very beautifull country but can't campare Nz with Quetta because home is home. My name is Asim. I was born in Quetta but now I live in Newcastle England. You have done a good job. No doubt that Quetta has its own beauty and charm which you would never find any where else in the world. But its very sad to hear whats going on in Quetta now days. Quetta used to be one of the most peacful city in the country but now you can easily compare it with Baghdad or Beruit. Any way nice work and all the best . 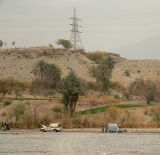 waqas, for taking these beutiful photos from BALOCHISTAN i must say that I LOVE IT. Mr. Waqas my name is Shah and this is very good you are trying through this we can get information about our city. I am from Quetta and working in Sudan. I am missing my city very much. Today i click your web and i feel a very different when i saw my own city on the net.You should include more about Quetta city because there are very things which we can include in this web. Any how it is very nice. About balochistan, in simple words its "deserted Beauty"
train from quetta to mach. And thanks Waqas for the nice photos that you have uploaded for us! I went to St. Joseph's and boarded there too. That was 1967-1973. I now live in Ottawa Canada. It was heartwarming, emotional, and painful all at the same time. I too was born in Quetta. I lived my childhood in Quetta when Quetta was much more beautiful than it is today. Strangely enough it was lack of technological advances that I miss about Quetta. Pollution (both mental thinking as well technological) is killing it. I live in Texas with all the amenities that the technological advances brings with it but I would not trade my childhood in that primitive environment that was pure as the rising sun and as honest as the heat it throws on your face. I have four kids and they are typical american kids. Although I have made sure that they know their religion and their roots, they are submerged in their Nintendos, Gameboys, movies, and everything else you can think of. All those things I would have killed to have when I was growing up. Of course most of it didn't exist and even if it did we could not have been able to afford it. However, because of the pure love and sincerity that was in abundance, I would not trade any of that for all that life has to offer now. Like they say THOSE WERE THE GOOD OLD DAYS. I haven't been to Quetta for what feels like an eternity but am absolutely resolved to go back and may be even settle down there. You know give back a little to what brought me here. Extreme you say! But perhaps you don't know what is a motherland. Thanks everyone for a trip down the memory lane. Especial thanks to Christina and Waqas. Leave a message and I shall be in touch if you like. really ALLAH is great. wat a great seen of mountains and hills of quetta city.its all shows the greatest cherictistics symptoms of GOD. In 1972-73 I rode in a Toyota Corolla with 2 American guys . We were exchange students from Kent State U. in Ohio, USA, (of 1970 student shootings fame) to Pahlavi University in Shiraz, now Shiraz U., on a road trip during No Ruz break. On our way between Nushki and Kandahar, a man who was apparently stranded on the road when his car broke down (it was a nice car! ), flagged us down for a ride. He took us to a place in Quetta that looked like an oasis! I don't know who he was, or where he took us, but he hosted us overnight very kindly. I love any photos of the areas of my incredible travels at that time, and I thank you for your great pictures posted. I had my 21st birthday in Kabul, staying in a glassed-in "room" on the roof of a hotel there, since no other rooms were available. We were grateful to have been provided a few cots, rather than try to sleep all 3 of us in the small car we had. And we awoke with the sun moving over the mountaintop. INCREDIBLE places! My heart aches for these places, and I was only passing through. I can imagine the deep emotion of people who lived there in their past. What an amazing land. Thank you. Ruth D.
Thank you for showing these lovely photographs of the rail journey from Quetta to Rohri. I thought I'd never see these places again. My father was a Driver on the North Western Railway and I can remember living in Rohri in 1940-43, Sibi in 1943-44. Mach 1944-46 and Quetta from 1946-48. All drivers had an assigned engine and My Dad's Engine in Mach was an HG-S and the number was 2178. In Quetta he had an HG-S numbered 2251. A great nostalgic moment for me. Thank you again. Thank you Haris for your comments (I hope you're reading this, since you didn't leave your email address), I can imagine how must be feeling. I wasn't able to go back to the place where I grew up in Rawalpindi/Islamabad for 8 years after we moved to Lahore... Hope you'll get the time to visit your hometown soon. Just read the recounting of your hellish journey from Quetta to Lahore - this is Pakistan, full of chaos & confusion (to those who are not familiar with these abnormalities) but I did revel in it too - this is to be found in any corner in Pakistan, just as abnormal as any day you may remember... Without doubt, Pakistan is a beautiful country and you showcase this really well. All good stuff!!! I would love to read Christine's book - any details? Thanks for the comment. I have sent you an email. Please write to me. I miss my childhood boyhood days in Quetta. We too lived near Jinnah Road. Lot to share. Where are you now? I moved to Boston, went to school at Harvard, but can't forget Quetta. Anyone else with Quetta connection? I lived in Quetta at age 15 in 1959-60 wherein my father was on loan from the US Geological Survey to the Pakistani Geological Survey. I went to St. Joseph's Catholic girls' school and lived on Phayre (sp?) road near Jinnah Rd. I would like to correspond with someone/anyone who would be willing to do so, as I am writing a book about my experiences, there.